This post was sponsored by Meta through their partnership with ShopStyle. While I was compensated by ShopStyle Collective to write a post about Meta’s product, all opinions are my own. The New Year is here and to be honest with you, I’m really not fitting in any of my clothes anymore. A few weeks ago, I posted this image on Instagram and a ton of people related to my struggle – my literally struggle to get my jeans on. So, it got me thinking about what I’ve been doing wrong with my life. What little things have been adding up to account for all that extra baggage I’ve been carrying around. PopSugar has this fun little quiz online to help determine what kind of snacker you are and I thought it would be interesting to take it. Um… they were dead on!! First of all, I thought it was hilariously accurate and a little bit sad as I realized what kind of person I became in my late 30s. Yes, I picked the one with the computer for this answer. LOL! But through it all, I learned a little bit about myself and my snacking habits. 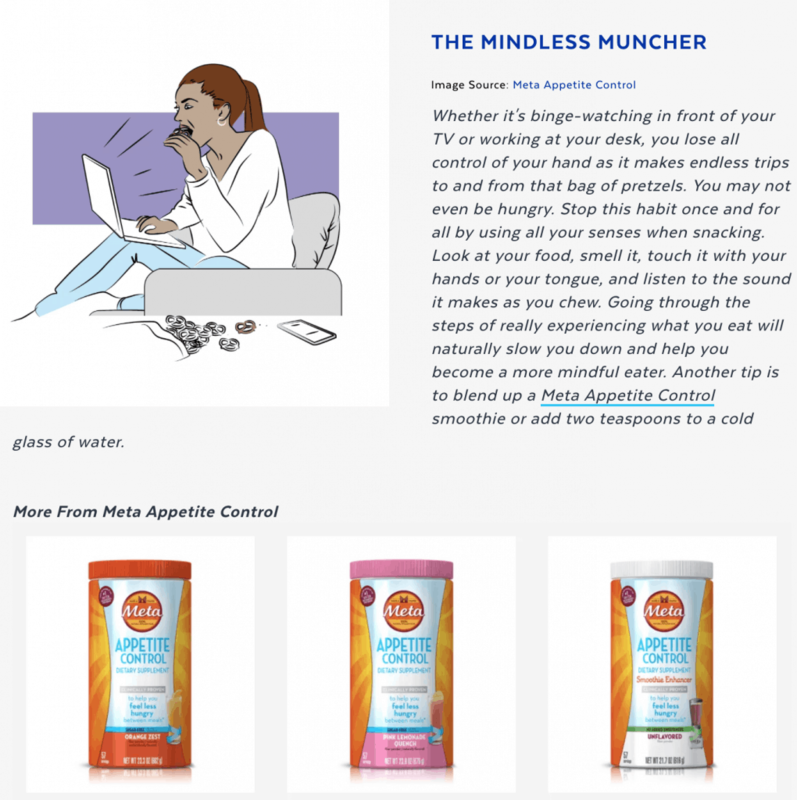 I am a MINDLESS MUNCHER… and you know what? I actually AM!!!! I am totally someone who just grabs a handful of cookies and then eats them only to wonder where all the cookies have gone three minutes later. Surely, I didn’t eat them all?! Yes… you did, Vera. You did. This has happened to me over and over again. I eat without thinking. I eat without tasting. I eat on auto. I grab because I am bored or tired or because it’s nearing a certain hour. It feels robotic at times. And all of that mindless munching has landed me 12 pounds heavier than I want to be. Someone help me!!! 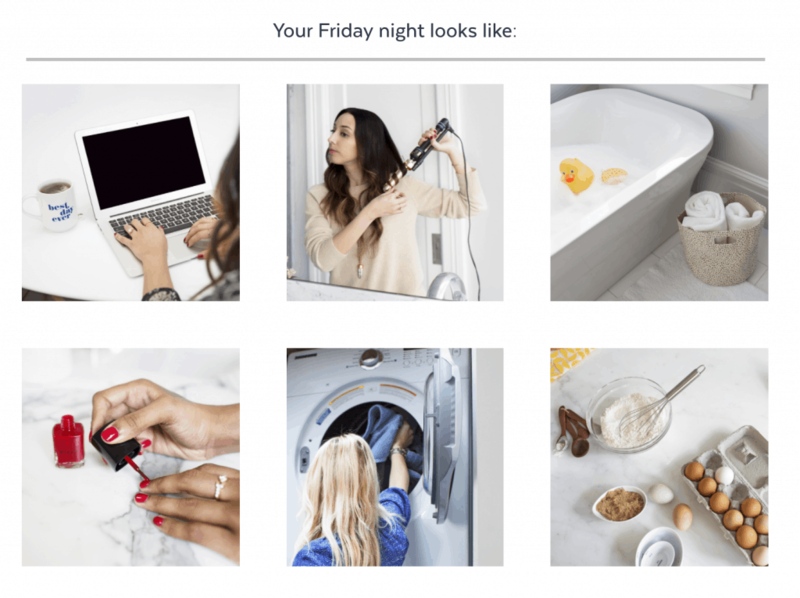 Thankfully, there are a few products on the market to do just that. 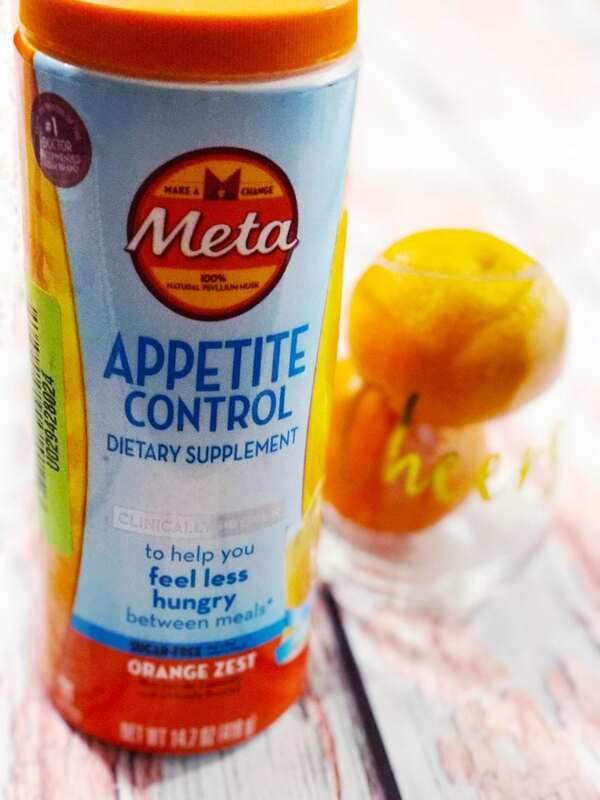 Meta Appetite Control is a fiber supplement from the makers of Metamucil and it can help take away that need for mindless munching. It contains 100% natural psyllium; is clinically proven to help you feel less hungry between meals;* and helps you “break up” with daily snack cravings. Basically, these products are clinically proven to help you feel less hungry between meals*. This is like an extra set of eyes on you. I love it! It is exactly what I needed to jump kick my new life motto. If you are looking for a coupon, you are in luck! I have one to share with you! Click here to download and print several coupons. It’s a pretty simple system to use. In fact, all you have to do is add two rounded teaspoons to 8 or more ounces of liquid with meals (up to three times daily). This is only for adults 12 years and older. 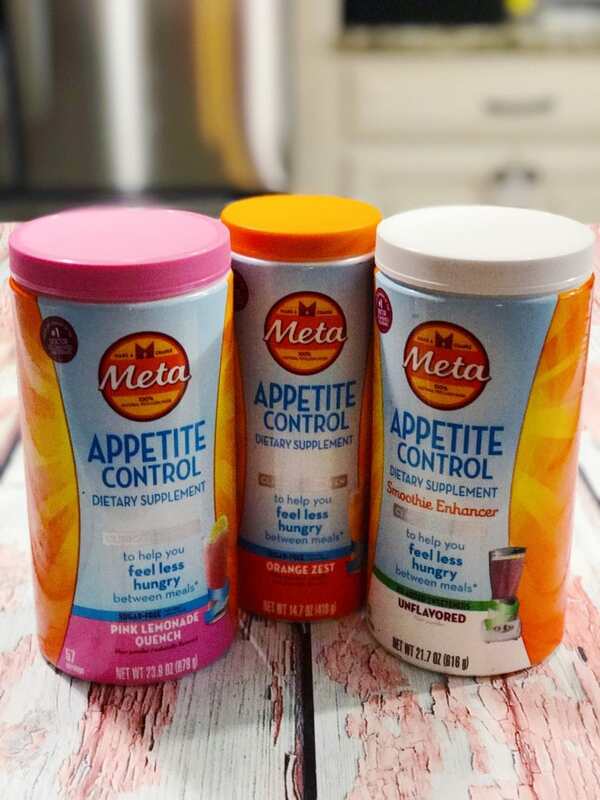 The Meta Appetite Control product that you add to your beverage will help you stay in control when temptation strikes. Ready For A Little Science? The Meta psyllium fiber thickens and forms a gel in your digestive system, slowing absorption and digestion, which aids in the sensation of fullness. Are you ready to get started? Can’t wait to hear about your successes! I need to check this out. I am guilty of not being able to control myself when I eat. I’m a grazer. If I go into the kitchen, I’ll see what we have. But if I stay out of the kitchen, I’m good. I am currently on Phentermine to help me lose weight. It’s a metabolism booster as well as an appetite suppressant. I don’t eat much but sometimes I crave for sugar and that’s my downfall. I would like to lose the 5 pounds I gained over the few months that I wasn’t able to work out. 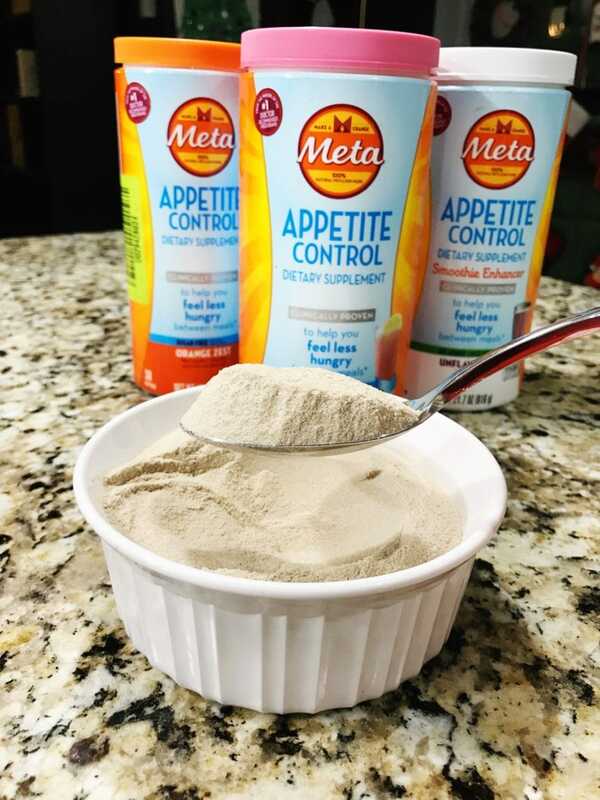 I have never heard of these MetaLife products but I need to look into them!! Thanks for the heads up!! 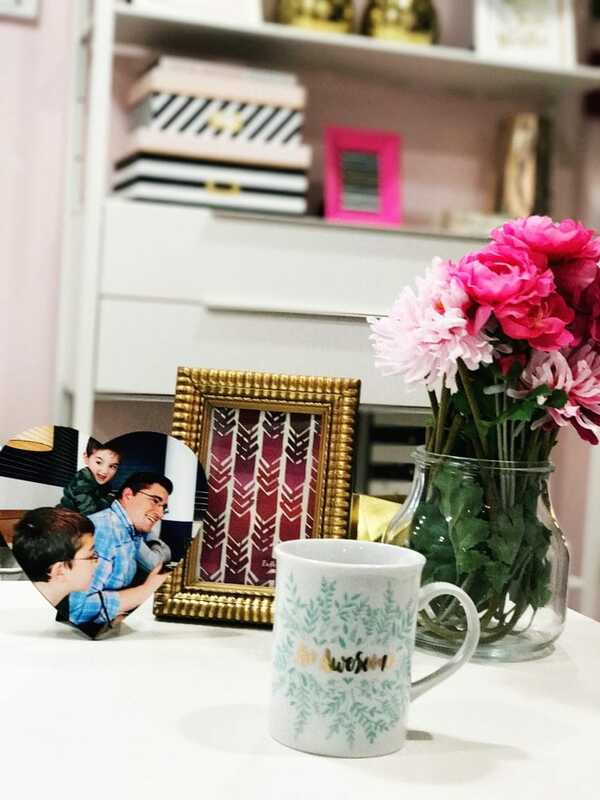 I’m not really a big snacker because I am always running around after my kids and I always forget to eat. These MetaLife products sound interesting for those trying to lose weight.